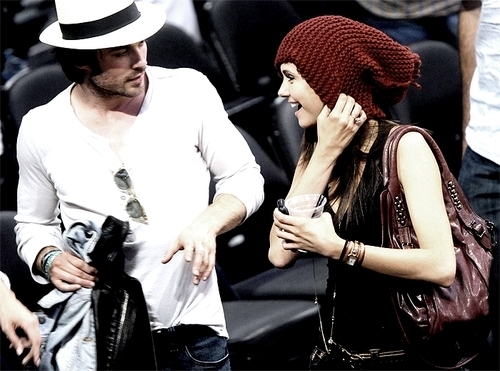 Nian at laker's game. . Wallpaper and background images in the Ian Somerhalder e Nina Dobrev club tagged: ian somerhalder nina dobrev damon salvatore nian elena gilbert the vampire diaries hot topic tour. Aww he is still carrying her jacket!